What Could Trump Do to the (Already) Shaky Future of Online Gambling? Whether you support Donald Trump or not, there is no question that his every move has been watched since he took office a few weeks ago. Executive orders have been signed, appointments to cabinet positions have been approved, and a Supreme Court nomination has been announced. With that, there are now several new people in positions of power that were not there before, many of whom were appointed to propel President Trump’s agendas. However, one topic that Trump’s latest administration has differing views over is the future of online sports betting. In the midst of Trump’s first few weeks in office came a distraction for the United States – Super Bowl LI. Whether you’re a football fan or not, there is no doubt that the Super Bowl is an exciting event. The food, the halftime show, the drone art, and the commercials are all forces that pull people together to gather around a television for three to four hours. But, there is another force for some, and that is the world of sports betting. This year alone, the American Gaming Association estimates that as much as $4.6 billion was wagered on last weekend’s Super Bowl game alone. It is also estimated that 97% of this gambling was done illegally through online services. If sports betting in general can bring in so much money, then why are politicians so inclined to prevent people from doing so? States can offer poker, slots, bingo, lotteries, horse racing, and an ongoing list of other ways to gamble, and even the billions of dollars a year that the majority of states allow to bet on fantasy sports contests. So what is it about online sports gambling, typically on the final score of the game, that requires federal regulation? At this time, the federal government already taxes sports betting, placing a .25% excise tax on “the amount of any wager authorized under the law of the state in which accepted.” This provision applies to several states. With that, if the $4.6 billion that was gambled, if it was done so legally, there would have been millions of dollars generated in federal tax revenue over a single game on Super Bowl Sunday alone. Now, with the newest presidential administration in the United States, Trump and his appointees have a chance to weigh-in on the topic of online sports gambling, and were given that opportunity by the Supreme Court last month when they made the decision not to immediately deny New Jersey’s challenge to a federal ban on sports betting. In the early 1990s, as the owner of some Atlantic City casinos, President Trump supported the legalization of sports betting. Now, three decades later, some wonder where the new president will come down on this issue. However, there is some evidence aside from his past that he will support a repeal, or at least a significant change to the 25-year-old Professional and Amateur Sports Protection Act (PASPA). PASPA prohibits most states from authorizing sports betting, aside from some states, such as Nevada, that are grandfathered in. 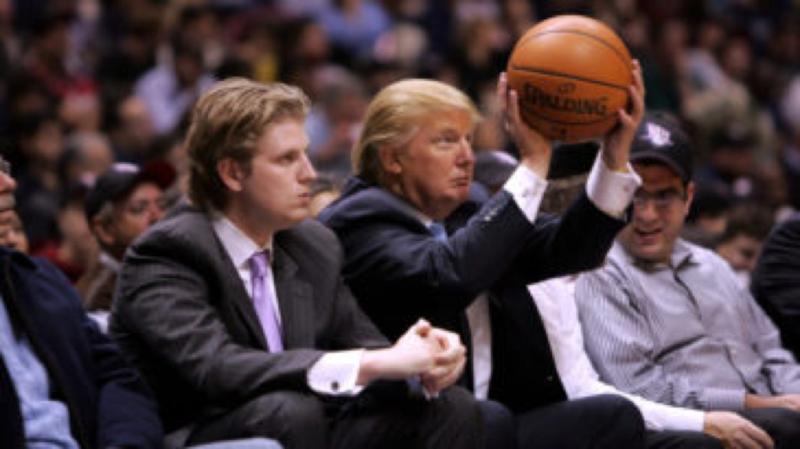 Trump has openly called for sports betting to be legalized since the 1990s, and has proven to be a supporter of online gambling since that industry developed. States, such as New Jersey, view online sports betting as an up and coming industry that can be used to generate jobs and tax revenue. Some people will even go as far as to say that sports betting protects the integrity of the game. Since Trump spent his campaign and early days in office focusing on job revenue, this seems like an option that, given the opportunity to participate in, Trump will gladly take. Many of these jobs are required to be located in the United States due to state gaming laws, so they do not face the risk of having the industry moved overseas. Also, this would support thousands of American jobs directly, and likely more than that indirectly. Regulations of online sports gambling would require further technological development, operations, marketing, and content, opening up opportunities for skilled, well paying, stable jobs that could arise from regulating online sports betting. Having an incentive to further develop technology for these online gambling platforms will provide more innovation and investment in the industry, likely providing an opportunity for sports betting startups to arise as a new industry. Some supporters of the legalization of online gambling fear that this is not a priority that is on Trump’s radar, since he did not mention it during his presidential campaign, nor has he mentioned it during his first few weeks in office, and he is unlikely to have unified Republican support on the issue. Plus, Trump’s appointee for Attorney General, Senator Jeff Sessions from Alabama, has previously opposed the expansion of online gambling. During Sessions’ confirmation hearing with the Senate, he said that he would revisit the topic of online gaming under the Wire Act, which is the closest he came to discussing to the issue of online sports gambling. With the cases Gov. Christopher J. Christie v. NCAA et al., and New Jersey Thoroughbred Horsemen’s Association v. NCAA still open by the Supreme Court, there is added pressure for the Trump administration and Congress to turn their attention to online sports betting in the upcoming months. While certain professional sports leagues such as the NCAA and NFL remain opposed to the regulation of online sports gambling, NBA commissioner, Adam Silver, has come out in favor of federally regulated rules, preferring that over state regulations. With the ability to generate millions, or even billions of dollars in tax revenue, to protect the integrity of professional sports games, to create tens of thousands of American jobs, and to maintain a reason to propel innovation and technological development, the latest presidential administration will have a great deal of incentive to regulate online sports betting at the federal level. Student Bio: Ashley is a current 2L at Suffolk University Law School. She is a Staff Member on the Journal of High Technology Law, President of the Environmental Law Society, and Vice President of the Suffolk Public Interest Law Group. She holds a B.A. in History and Political Science from Hobart and William Smith Colleges.